Helsinki, Finland and Taipei, Taiwan – September 5, 2014 – Tuxera Inc, market leader in interoperable file system and streaming technologies, announced today that ASUS has selected Tuxera solutions to be integrated in its renowned wireless routers including the latest AC66 and AC68 models boosting connection speeds and maximizing the hardware platform to the fullest. Tuxera file systems ship already in ASUS innovative Transformer tablets and PadFone and FonePad smartphones since 2010. A typical modern home powers five or more connected devices including phones, tablets, laptops, set-top boxes, TVs and gaming consoles. ASUS’ popular high-quality dual band routers build a network and storage hub for the connected home allowing users to access network services and share data across all the devices seamlessly and robustly. 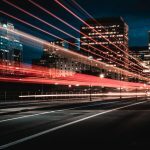 “We have to be power efficient when a lot of network dependent applications run at the same time. Tuxera’s solutions help us take full advantage of expanded bandwidth and storage capacity, providing drastically improved performance with significantly reduced CPU usage. With special optimization for network storages, our users can enjoy quick access and sharing of their data,” noted Tenlong Deng, Associate Vice President at Networking & Wireless Devices Business Unit, Open Platform Business Group, AsusTek COMPUTER INC. Through innovation, pioneering trends and new technology, ASUS answers growing requirements of today’s digital home. Its award-winning, feature-rich routers are best known for ultra-fast and smooth performance, elevating the overall user experience. 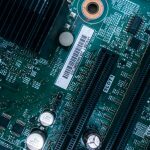 Based on close engineering cooperation with chipset partners Tuxera solutions are optimized for Samba and USB 3.0 deployments, boosting performance by multiple times. 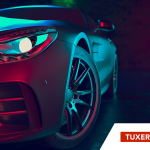 At the same time Tuxera solutions improve reliability with built-in fail-safe technology, which guarantees volume integrity against corruptions in unexpected plug-off, power-off situations. 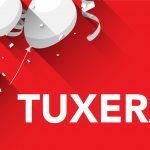 Tuxera is the leading provider of file systems that allow music, pictures, videos and other content to be ported across mobiles, tablets, home entertainment, consumer, industrial or any other electronics. Tuxera’s industry-standard file system solutions for Android, Linux, Mac OS X and other platforms have hundreds of millions installations. Close collaboration with industry leaders ensures reliable compatibility and helps to set high standard in performance, low power use for embedded and mobile solutions. For more information, please visit www.tuxera.com.